Selena Gomez is all smiles as she celebrates her 21st birthday early with friends at the Roosevelt Hotel in Los Angeles, Calif. on July 20, 2013. The singer/actress turns the big 2-1 today. Happy Birthday, Selena! Selena Gomez, you can finally legally drink — and you may need one after your busy year! The “Come & Get It” singer and star of Spring Breakers turned 21 on July 22, and we have pictures from her epic first year as an official twenty-something! The actress wowed us with her racy performance in Spring Breakers, especially when her character took a bong hit!. Gone is her squeaky clean Disney image and hello to an all-new Selena. The is a far cry from her Wizards of Waverly Place days and we are loving this grown-up gal. Her first solo album Stars Dance doesn’t drop until July 23, just a day after her birthday! However, we were treated to many songs of her upcoming album. Selena’s “Come & Get It” single was crazy hot and she is definitely maturing into an amazing solo artist! Selena has also been preparing for her first international tour starting Oct. 10 until Nov. 20. We can’t wait! Tell em its my Birthday!! The on-again-off-again pair have definitely kept us guessing with their whirlwind relationship. The couple dated for two years before initially splitting in late 2012. However, the two can’t seem to stay away from each other. Selena was seen hanging out with Justin Bieber over the Fourth of July weekend. No matter what your feelings are toward the couple, let’s face it, Jelena would make beautiful music together. Have an amazing birthday, Selena! 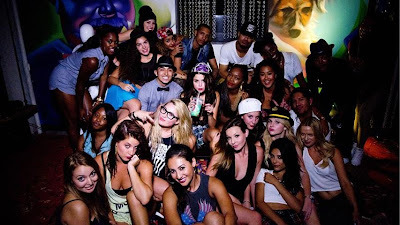 Selena Gomez celebrates her 21st birthday early on July 20, 2013. The "Come & Get It" singer was joined by her BFF Lily Collins. Gomez, spotted here with a pair of devil horns, officially turns 21 on July 22. A closer look at Selena Gomez's devil horns. 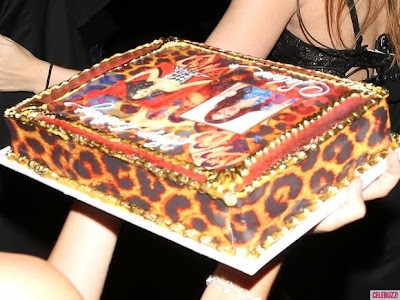 Selena Gomez's pals also brought a cute leopard-print inspired cake for the early birthday celebrations in Los Angeles on July 20, 2013.